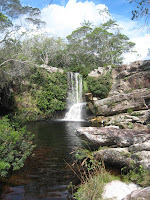 The Estrada Real is the name of the path that Portuguese expeditions trailed to bring gold from Minas Gerais to Rio through mountains, plateaus, meadows and creeks. 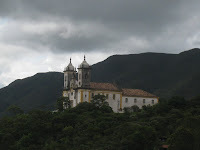 The first route (Old Route) connected Ouro Preto, in Minas Gerais, to Paraty, in the south of Rio; from Paraty, the expeditions walked to the city of Rio. This trip took three months. In the beginning of the 18th century a "New Route" was built. This new route took only ten days to complete; only people authorized by the Crown could travel along it. Today, a partnership between the Instituto Estrada Real and the government of Minas Gerais is reconstructing the entire route. The Old and New Routes are 1,400 kilometers long and cross 177 cities, colonial and baroque architecture in gorgeous landscapes. 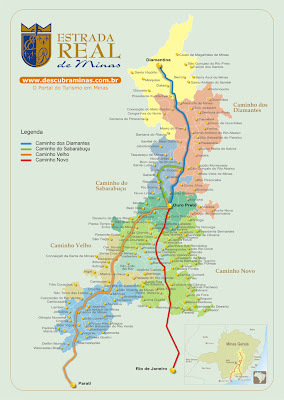 From the heart of Minas Gerais, the Route goes from Diamantina to Ouro Preto, where it splits in two directions. 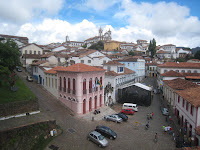 Ouro Preto is a former colonial mining town located in the Serra do Espinhaço mountains and designated a World Heritage Site by UNESCO because of its outstanding Baroque architecture. 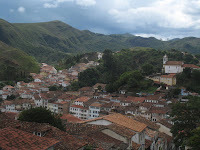 Founded at the end of the 17th century, Ouro Preto (meaning Black Gold) was the focal point of the gold rush and Brazil's golden age in the 18th century. 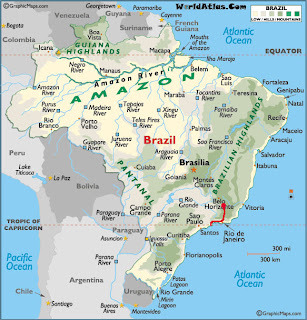 To find gold in Brazil was the dream of the Portuguese...The dream came true at the end of the 17th century, when pioneers from Sao Paulo found gold in the south-east region of the country. The first gold, which was discovered in the valley of Rio Doce and Rio das Mortes, was called "gold of alluvium". The gold rush started. 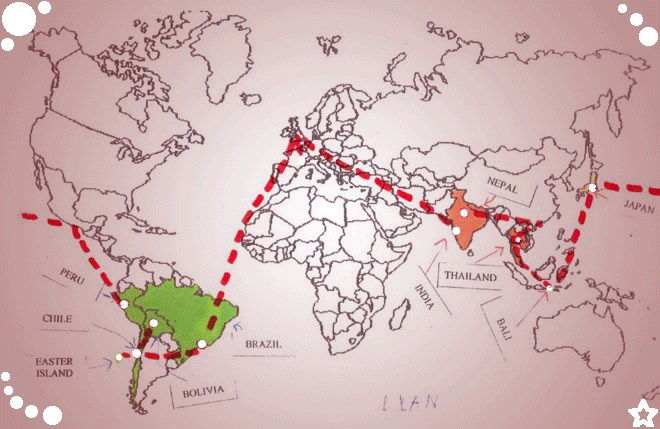 Brazilians from every part of the country and even Portuguese, started to migrate to these regions with the hope to get rich quickly. The mines appeared and with them the villages. 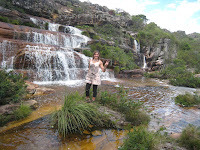 Gold seemed to flow everywhere; the numerous mines gave its name to the region of "Minas Gerais". 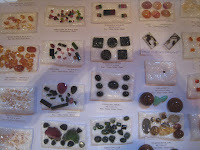 The authority of the region collected a tax : a fifth of the quantity of extracted metal. 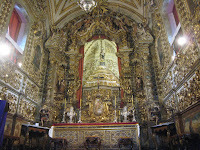 The gold was transformed into bars and a fifth was removed and sent to Portugal. People who were found with gold which didn´t have the stamp were severely punished: they lost all their properties and could be exiled to Portuguese colonies in Africa. 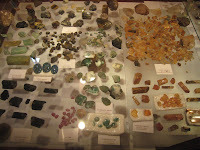 Portugal collected about 1,000 kg every year. 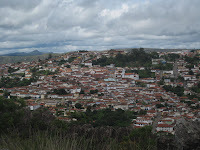 The dissatisfaction of the settlers was big, due to the rigid control that Portugal was practising on the mines. Besides, they were judging abusive the tax collected on gold. 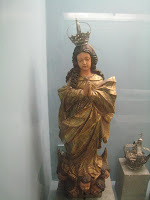 Very often they were smuggling or hiding it. 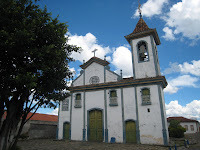 Led by Felipe dos Santos, a furious crowd demanded that the governor reduced the taxes and closed the "Casas de Fundição". 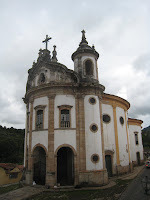 Instead of holding his promise, the governor ordered his soldiers to invade Vila Rica (Ouro Preto). Felipe dos Santos was publicly executed. His arms and legs were tied to four horses that left in opposite directions. 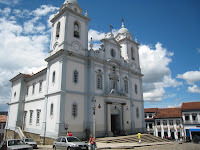 His head was exposed in the centre of Vila Rica and the other parts of his body were spread on the roads. With the excessive extraction of gold, the production lessened, taxes were not paid on time and the inspection became more and more rigid. In Brazil, in 1789, a group of conspirators aiming at the emancipation of the country, was formed by persons belonging to the upper mining society and interested in the independence, since they were in debt to the Crown. 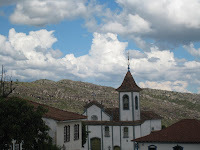 Among them were the poets Cláudio Manuel da Costa and Tomás Antônio Gonzaga and Joaquim José da Silva Xavier, best known as "Tiradentes". 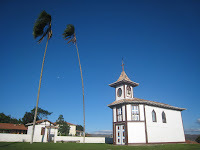 The Inconfidência Mineira (Minas Conspiracy) adopted a white flag, with a red triangle, around which was written "Libertas quae será tamem" (Libertade ainda que tardia). 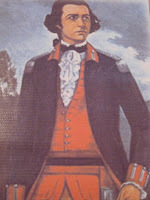 But one of the informants, Joaquim Silvério dos Reis, known as the Brazilian traitor, revealed the conspirators' plans to the government. In exchange of the information, he was cleared of his debts. 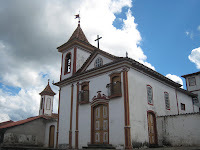 All the members of the Inconfidência Mineira were arrested, judged and condemned. All of them sentenced to death. 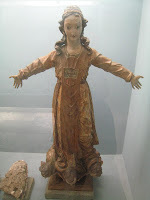 But the Queen of Portugal, Maria I modified the sentence to exile. 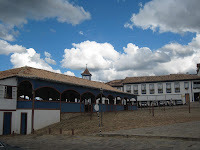 Tiradentes, which was one of the poorest and most humble, assumed the fault alone and was the only one to have death penalty maintained. 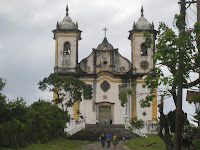 The Brazilian "Gold Cycle" began in the 18th century and ended around 1800. 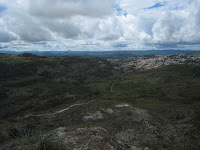 "Bandeirantes" in search of gold, emeralds and diamonds found gold around 1695 near Ouro Preto. The news spread to the whole of the colony and from 1697 a "rush" started. 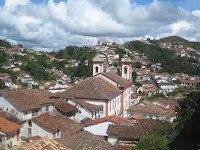 During this period, the production of gold was 1,421 tonnes, Minas Gerais (especially Ouro Preto and Mariana) produced 700 tonnes, 50% of the gold produced at this time. 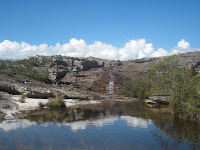 The "Mina da Passagem" is the largest gold mine in the world open to public. 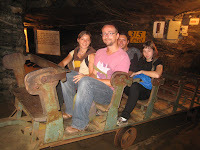 A trolley drives you to the underground galleries, which are 315 meters long and 120 meters deep. 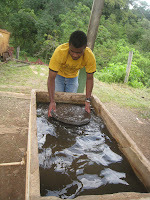 Since its foundation in the 18th century about 35 tons of gold have been extracted. Mina da Passagem operated regularly until 1954. Attempts to reopen, from 1959 to 1966, were unsuccessful. 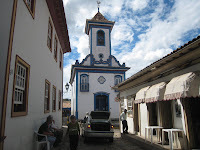 The village was named after Manoel Rodrigues Milho Verde, the first person who found gold there. 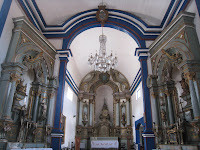 It is located in the Sierra Espinhaço, between Serra and Diamantina and was originally occupied by miners looking for gold and later diamonds. 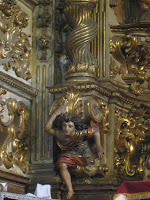 Portugal became aware that gold had been found, barracks were installed to collect taxes and to control the entry and exit of people and goods in the region. The restrictions imposed on the District contributed to the stagnation of the town. 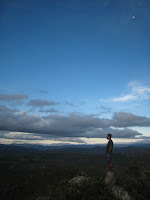 The place was forgotten in time. 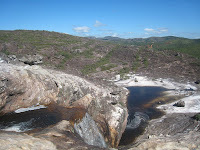 In the twentieth century, miners caused ecological damages by using pumps and bombs, which diverted rivers. Today, mining is prohibited. During the 80's, the peace and tranquility of the place and its rich nature attracted hippies and residents of large cities and surrounding areas, interested in a more simple life. Today, the village is seeking to develop a tourism based on natural and cultural preservation, a good chance of economic prosperity, as the majority of the population lives on less than 1 minimum wage. 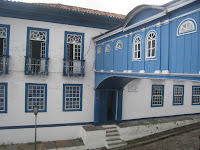 Diamantina was built during the colonial era in the early 18th century. 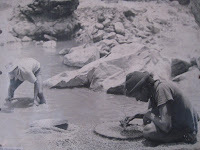 It was a center of diamond mining in the 18th and 19th centuries. This road was built by slaves who broke and loaded these rocks to facilitate the traffic of the troops carrying diamonds and gold from Diamantina to Rio de Janeiro and Paraty. 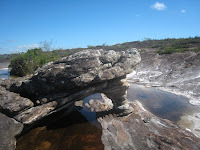 The area offers amazing caves and cachoieras.